iPhone 5 to Support NFC-Based Portable 'Remote' Computing? Apple's interest in Near Field Communication (NFC), the short-range wireless technology that supports such services as "tap and go" credit card payments, has been well-established, but a new report claims that Apple maybe be planning to include the technology in the fifth-generation iPhone to allow Mac users to essentially keep a portable version of their Mac on their iPhone and wirelessly allow any compatible Mac to run as if it was their own Mac. "The Mac authenticates with the iPhone, which contains a lot of the information the computer needs, such as bookmarks, passwords and other data," said our source, who asked to remain anonymous. "The system would essentially turn any Apple computer into your own - like you're actually working on your own computer. Same settings, look, bookmarks, preferences. It would all be invisible. Your iPhone would be all you needed to unlock your Mac." The source reports that smaller items of information such as passwords, documents, and preference files would be stored directly on the iPhone, but that larger chunks of data such as applications and music and photo libraries would likely have to be stored in the cloud to be included in the service, given the sizes of those items and the relatively slow transfer speeds used in NFC. 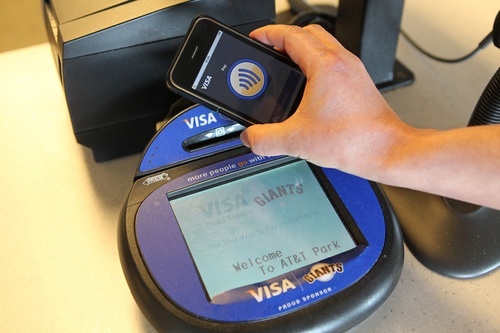 According to the source, Apple has been working on this implementation of NFC technology for "some time", but it is of course possible that it may never see a public release.